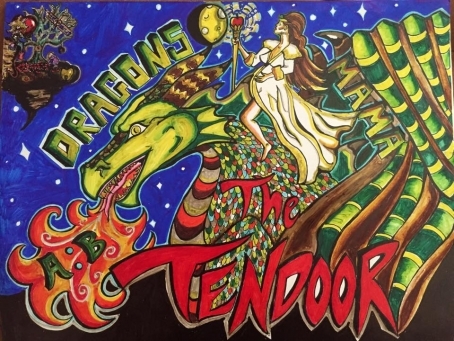 Congratulations to The Tendoor, our Band of the Month, on the release of their single, "Mama." Fearlessly lead by Blake Milliron (of The Burps) and Riley Thayer, the now 8-piece troop is even bigger and badder than before, and their newest cassette release digs deep into the most moody and groovy side of rock and roll. Thayer's bewitching vocals drip over bluesy harmonies and keys, while the rest of the crew gives us the alt/pop/rock vibe we know and love. With a ridiculously catchy chorus and a spine-tingling ending, "Mama" will leave you reaching for the rewind button.